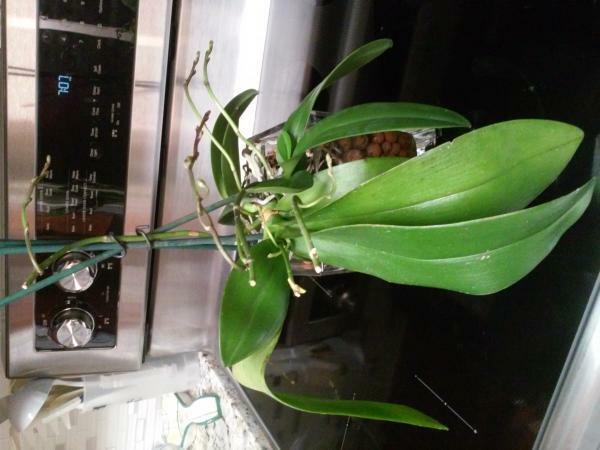 ID for phaleanopsis w/8 spikes - Orchid Board - Most Complete Orchid Forum on the web ! I have an orchid and I cannot find any information on what kind it might be. It looks like a phaleanopsis but, it has multiple spikes at the same time and it has 2 kekis, which have one spike each. The mother plant has 2 spikes coming from inside the crown. I didn't think that a phaleanopsis could produce spikes from inside it's crown. And I have never seen one with this many spikes all at once. The flowers are very small, too. Well, I guess I can look at it and tell it's a phal. But, this one is unique. I was hoping to get a more specific answer, I guess. Like what cultivar is it? 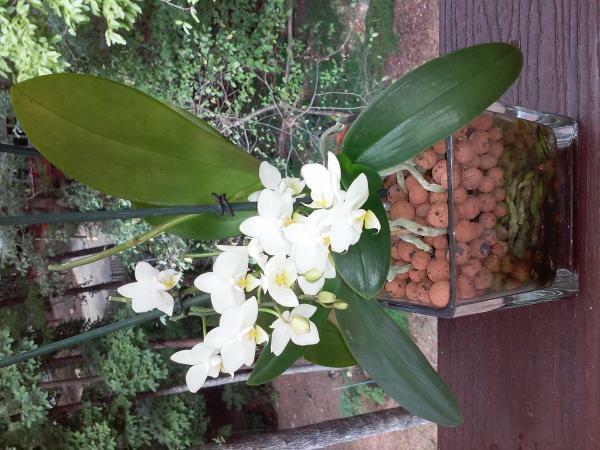 It's not your typical "run of the mill" type orchid. For sure! Here’s this to explain the gist of why your not going to get a more specific answer Why a NoID is a NoID. A mature Phal can carry a few spikes at once and since you have keikis blooming too, that makes for a really nice display. The spikes that are blooming from the center (are you talking about from the crown of the main plant?) are called terminal spikes. That means the mother plant is done and not going to make any more new leaves and eventually die back. But you have the keikis so not all is lost! Last edited by SaraJean; 12-04-2018 at 08:58 PM.. I'm stealing that SaraJean. Thanks! Well. Maybe the mother plant is "giving up". When her babies are big enough, I'll separate them. Maybe that will bring her some relief. This is one of those things that time will tell. Personally, I think I have a unique phal. It's not quite like anything I have ever seen before. But, there's LOADS of different orchids. I will just enjoy her for the beauty she brings! THANK YOU ALL for your input. I'll post pix when she blooms. Phals normally grow into clumped plants. There is no reason to separate offsets like this plant has unless space is an issue. The central rosette of leaves in your plant has used its only growth point to make a terminal spike. That rosette cannot make any more leaves from the top. One meristem growth point forms above each leaf. This can turn into a flower spike, or into a new growth. If you separate the offsets from your central rosette, it will not grow more leaves, but there is a possibility it might make more offsets. Once all the side meristems are used a rosette that has formed a terminal spike cannot grow further, and will eventually die. I would not divide that plant if it were mine.